In a well established gym, hundreds of fitness enthusiasts workout everyday from morning till evening. They sweat, the atmosphere gets moist and millions of germs comfortably inhabit in this kind of atmosphere. Therefore, cleanliness is of first priority at any gym. As much as you spend in marketing your gym, even if you spend half of it to keep your gym clean, your gym will automatically be the best one. If you have a high tech gym, but it’s not well maintained, it’s of no use because people will continuously get sick there. As the ultimate goal of a gym is to make people healthy and fit, therefore, cleanliness should be the priority. As a basic cleaning tip, I shall like to suggest you using gym equipment wipes. With these wipes you can wipe down the equipment in your gym very easily, thereby making them clean and reducing the germs on them. During workout people use weights and gym equipment without washing their hands and cleaning themselves up. Doing this spreads the sweat and germ of one’s body to the other’s. This is extremely unhygienic and unhealthy. This habit spreads deadly diseases among the bodybuilders. Yes, it’s true people can’t wash themselves every time they sweat. 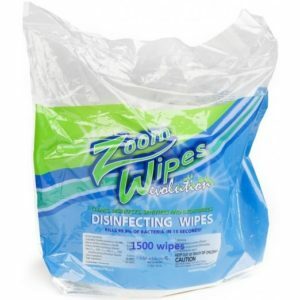 However, they can use gym wipes to clean up the gym equipment before and after use. In this manner, they will stay safe from germs. Cleaning the restroom is not that easy as you might consider. The health of the gym goers will be at a risk if the restrooms are not cleaned at a regular basis. Mud and soil spread around the floor of the restroom because the gym goers enter this room wearing their dirty shoes. Then the toilets and sinks also get dirty every time. Restrooms need a proper cleanup after every session of gym is over. When it comes to the cleaning of restroom, you must consider proper cleaning techniques, like use of disinfectants, proper mops, rags and other necessary items. Let your staff use a high quality shower cleaner, so that you can be sure that the walls and floors of the shower are properly cleaned. Get a good magic eraser and sponges so that the germs and dirt from the shower handles, walls and floors can be effectively removed. These are the areas that might spread illness and therefore,need to be carefully looked into. Also keep adequate amount of garbage bins and cans in stock so that customers do not let the gym wipes, tissues and the paper towels litter around everywhere here and there. Get a proper vacuum cleaner to clean up the rugs. You can keep in stock multiple vacuums, so that you can use another when one of the vacuums fails to function. Floors need to be cleaned every day. Also keep good dusters handy to clean up the floors after every session. In this manner, you can keep the floors of your gym clean and shinning for a longer period of time. These are the most common ways you should follow to keep the important areas and equipment of your gym clean and safe for your customers. Keeping your gym clean is a necessity because this will serve the well being of the gym goers and also your gym’s reputation. Do keep a keen eye on the cleanliness of your gym always. People workout in gyms to maintain their body and stay fit but the tragic irony is, this is the breeding ground of various germs, bacteria and infections. Is gym being the nemesis of your deteriorated health? If yes, do not let it be. Gym facilities must have a clause of regular gym cleaning. Be aware and know that different type of disease causing germs such as staphylococcus,influenza, E. coil etc finds gym as the perfect place for their survival. It’s a known fact that rhinovirus ( the virus that causes cold) is present in most of the gym equipment. Some of the skin diseases like the athlete’s foot as well as human papillomavirus get into your body from unhygienic gyms. One of the life-threating bacteria MRSA ( Methicillin Resistant Staphylococcus Aureus) is found in the gym. This kind of bacteria is mostly resistant to the normal antibiotics. They get into your body through skin contact, cuts and abrasions. These are the places where the bacteria thrive the most in the gyms. It’s always better to use gym wipes to wipe down the gym equipment before and after their use. This will help you and your neighbors in the gym to stay healthy. It’s not at all healthy to workout in a dirty gym and then end up being sick. If you want to ensure a clean environment in the gyms, then better maintain a proper gym cleaning checklist. Maintaining a clean and healthy atmosphere in the gyms will not only keep the members healthy, but also will attract others to workout in your gym. After all who doesn’t like to workout in a clean and maintained gym? Have a careful look at your gym; but this time with the perspective of a potential customer. Would you dare to use the equipment and walk around bare footed in your gym? Are you getting a feeling of cleanliness in your gym? If you are not an honest judge, ask your friends and gym mates. They will certainly give you a honest review. That will help you understand, what are the necessary improvements you need to do to get your gym clean and hygienic. A good number of germ can thrive in the floor of the locker room. Different shoes enter from outside in the locker room and they bring in a lot of germs with them that can be a reason behind stomach problem and hepatitis A. Not only this, a lot other germs and bacteria breed in the locker room; and this is enough to make you fall sick. You can ask the gym mates to wear flip flops in the locker room and never walk bare footed. It is always better to get the locker room properly cleaned after the peak hours. Wipe the cardio machine like the treadmills, elliptical, bikes and others with the gym wipes after every use. This will kill most of the germs and help you stay healthy. These are mostly used in the gym and also the mostly forgotten ones during the time of cleaning activities. The hard surface of these weights breed the germs so they need to be cleaned up after each use. You must have enough mats so that the rest can be cleaned while others used. Mats need to to washed and cleaned every day because they carry a lot of sweat and germs in them. There must be two set of mats in the gym while one set is being used other can be given for clean up. It’s always good to wear a flip flop in the showers because bathroom floors have lot of germs. If you can be a bit more careful, you can keep your gym safe and maintain a good hygiene in the gyms. The gym facilities must follow the cleaning routines on a regular basis. Before your gym get a lot dirtier maintain a gym cleaning checklist.